Weinberg junior Oona Ahn recalls trying out at least four churches in two quarters. Raised agnostic, Ahn says she was looking for faith. Prior to exploring Christianity, Ahn looked into Buddhism. Communication junior Naomi Kunstler also started exploring religion more at college. Religion was never pushed on her when she was growing up. When she came to Northwestern, however, some of her friends were active in Hillel. First, she started casually going to Shabbat. Eventually, she became more involved. Many students stop practicing religion once they start college. But for others, like Ahn and Kunstler, they explore religion and become more invested in it. According to the 2013 CIRP Freshman Survey at Northwestern, the largest religion represented on campus was Christianity, with 43 percent of students surveyed identifying as Christian. In addition, 12.9 percent identified as Jewish, 3.1 percent as Hindu, 1.4 percent as Buddhist, 1.2 percent as Muslim and 2.9 percent with some other religion. At 35.5 percent, the second largest group did not identify with any religion. 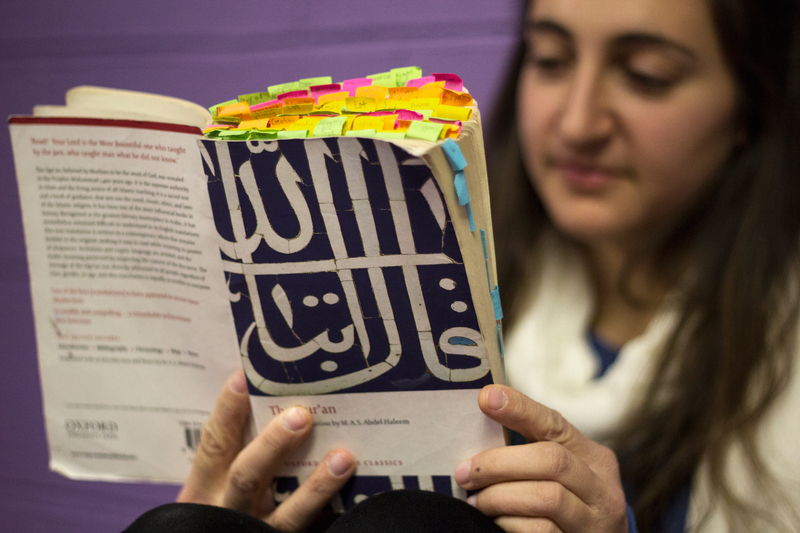 As a religious studies major, Weinberg junior Laila Hayani believes it is important to explore different religions. 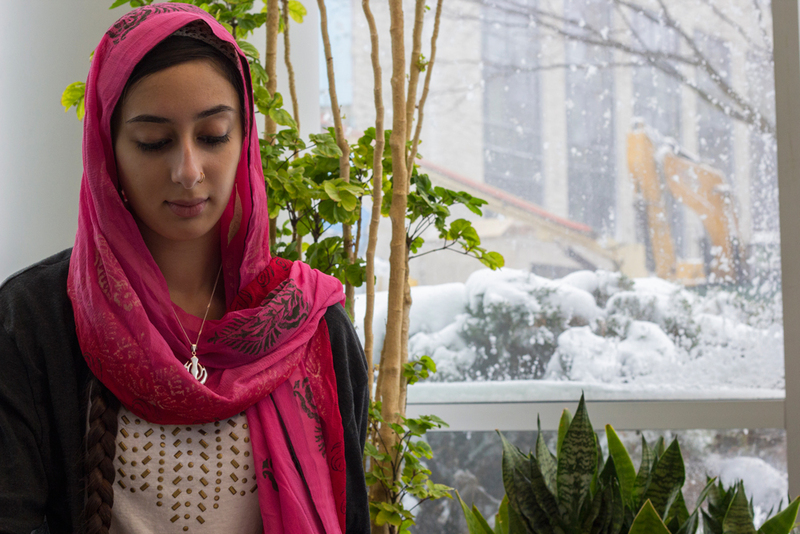 Hayani, who is Muslim, continues to develop her religious beliefs in college through praying and attending the Muslim Cultural Students Association’s Friday prayer services. Hayani also branches out by learning about other religions and participating in interfaith dialogue through the Northwestern University Interfaith Initiative. SESP junior Alexandria Bobbitt also continues to develop her relationship with God both in her personal life and through a student religious group. Bobbitt is involved in House on the Rock, the African-American chapter of InterVarsity. Bobbitt identifies as Christian, but not with a certain denomination. However, she loves the House on the Rock community and says her faith is the governing factor in her life. Hillel has become home for Weinberg junior Ariella Hoffman-Peterson. She was raised Jewish and is involved in Hillel. She also attends services and leads ZOOZ, a Jewish service-learning group. 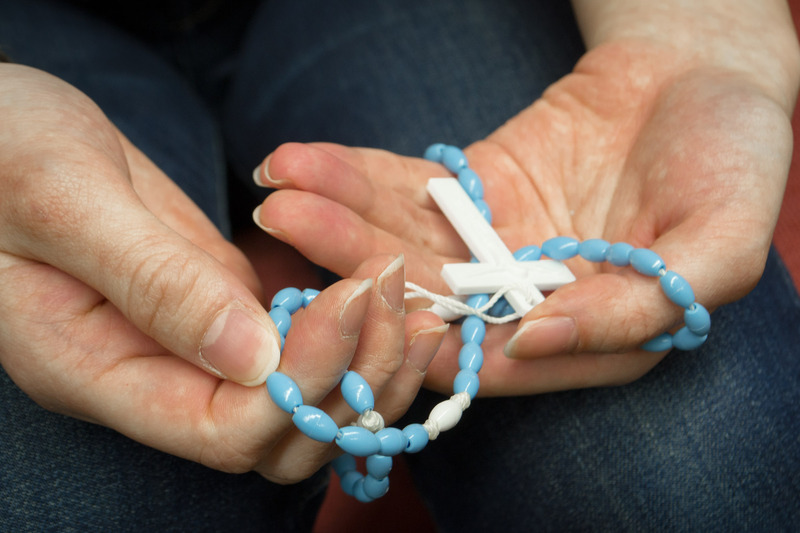 Some students may not have been raised in a religious environment but convert when they find a religious group on campus they connect with. Ahn now attends the Rite of Christian Initiation of Adults at the Sheil Catholic Center, which is part of the process for people to learn about Catholicism and convert. Like Ahn, Weinberg and Bienen sophomore Alex Ge was not religious before college. But after his friends invited him to Access, a series of sermons at the Harvest Mission Community Church in Evanston, he became more involved. According to the Northwestern Religious Life website, Northwestern has 37 recognized religious groups, including five affiliated campus religious centers. However, some students do not have a group on campus for their religion. Weinberg freshman Asha Sawhney is Sikh. Although she practices her religion privately and often reads and reflects from the Guru Granth Sahib, the Sikh holy book. There is currently no space or group for Sikhism on campus. Sawhney was disappointed that the Wildcat Welcome Mosaic ENU did not mention Sikhism. Sawhney wears a necklace with the “khanda” symbol, which incorporates two spiritual concepts: “deg tech fateh,” the duty of Sikhs to provide food and protection for the less fortunate and oppressed, and “miri-piri,” the belief that worldly and spiritual power are equal. Sawhney would like to possibly start a Sikh group, or at least see one form. According to University Chaplain Timothy Stevens, Northwestern offers various outlets to explore religion, and students have also formed groups when one for their religion did not exist. According to Kevin Feeney, chaplain and director of the Sheil Catholic Center, students become involved in religious groups on campus in search of a community to help them understand their faith more. Potek says that while religion may not be necessary to connect to God or find meaning in life, exploring religion can provide a sense of purpose. After Kunstler had coffee with Potek, she started reading more about Judaism and going to Shabbat more. She also started having conversations with her Jewish father about their religion. As for Ahn, she is scheduled to be baptized this Easter Vigil if she chooses to continue with the Rite of Christian Initiation of Adults.